The Story of Philosophy was originally published in 1926. It was followed by a revised second edition released on 1933. I have read the 2006 publication and it started with a preface written by the original author Will Durant for the sophomore version. Thus, I rightfully believe that after completing the 2006 Pocket Books paperback edition; it’s a modern presentation of the revised edition. The above information is not as vital as will be the following opinions. I hesitated writing this review as I considered a comprehensive analysis impossible. Therefore, just as Durant has stated that this is more of a read for a layman of philosophy and is not intended for the experts, I will do justice to his profound work by offering a review that is itself a recommendation of whether or not to read the book, instead of offering a tedious chapter-by-chapter study. The full title of this book is, The Story of Philosophy: The Lives and Opinions of the Greater Philosophers. And no, “Greater” is not a typo, but in fact it was right that emphasis was placed on this word. Durant properly admitted that only those who are superior to even the great philosophers have been chosen as outlines. Philosophy, like all the other predominant social sciences, is a vast field with an equal ensemble of contributors. Even if ten volumes were written on philosophy, it could not comprise of all the philosophical knowledge taken as a whole. The same goes for literature, political science, history, sociology, etc. These fields are just too large to be collected in various volumes of the same series. This is why it was smart for Durant to collect only the most heard-of philosophers. Though again, for a newbie to philosophy myself, I’ve read about and also watched videos on some prominent philosophers whose lives and opinions were not elaborated on at all in this book. So, the first defect of this book, which again I must say is not a problem as the content itself was more than insightful, is that one or more philosophers that you might’ve wanted to study about in this manuscript, might not be present there at all. Wisely, The Story of Philosophy starts with profiles on the best-known philosophers of Ancient Greece: Socrates, Plato and Aristotle. We may argue that more philosophers of this time period needed chapters to be dedicated upon, but after reading Aristotle’s chapter myself, I believe that the knowledge acquired by a person new to philosophy, will be more than sufficient. I would also like to add that I did my Bachelor in Science in Media Sciences so I’m more of a social-science guy. Therefore, the sections or even the paragraphs on political philosophy and artistic philosophy matched my level of understanding. I also found that more preference was given to scientific philosophy, which again is not wrong because it examines the lives and opinions of the greater philosophers, and majority of them were scientific-minded, but I still loved the artistic domain of philosophy over its analytical sphere. Hence, in my opinion, people who have studied STEM in their colleges and/or universities might fathom this book better than those who’ve chosen the social sciences or art as their domains of study. Again, the afore-mentioned statement might be wrong as even people I studied with had an astonishing grasp of the factual side of life, so recommending this book has become as subjective as reviewing it. Nevertheless, I stay true to my statement that scientific people will comprehend it more thoroughly than their non-scientific counterparts. The most ambiguous aspect of this book is incorporating two small chapters on six 20th century contemporary philosophers: three British (Bergson, Croce and Russell), and three American (Santayana, James and Dewey). I thought this was a double-edged sword as due to the time period of its original publication, post-WW2 philosophers had no chance of being included in this weighty collection. So readers wanting to read the 21st century philosophers will have to look elsewhere. However, those in academia will be pleased to find that the most cited philosophers of the world are included in chapters attributed solely to them. I was initially surprised not to find Hegel’s profile in the Table of Contents, only to find his life and philosophy discussed in a short section following the second-last subchapter on Kant, and it’s also precisely titled as “A Note on Hegel”. Similarly, Descartes is discussed briefly in Spinoza’s chapter, and Rousseau is frequently mentioned in Voltaire’s chapter, with the penultimate section on the latter having been named “Voltaire and Rousseau”. Although, I would have favored an outline dedicated to Rousseau himself seeing that I know more about him; owing to my selection of the “State and Nation Building” course as a part of my undergraduate studies; his name and biography came up many times in our brief study on the French Revolution. 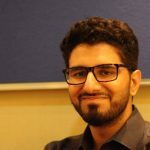 With more emphasis on the content now, I am not reluctant in declaring that The Story of Philosophy has inspired me not only to follow philosophy further, in studies and in life, but also to read the works of various philosophers and writers who were cited in the multitude of this text. Sophie’s World (1991) might’ve been my first textual read on philosophy, but after finishing it, I remembered the characters and the plot more than the third-person retelling of major real-life events in philosophy. The one problem that Sophie’s World has that The Story of Philosophy doesn’t is that the former cannot be taken as an introduction to philosophy. With The Story of Philosophy, each chapter has a few or even more than a few examples of previous philosophers and philosophies; whether decades or centuries old. Thus, after reading The Story of Philosophy, it will actually make you think of your own life in a philosophical way. Whereas, Sophie’s World serves as an original work on the context of being an unparalleled blend of fiction and philosophy penned by Jostein Gaarder. His novel will make you admire the art of storytelling more than the significance of philosophy. You can read my review of Sophie’s World here. 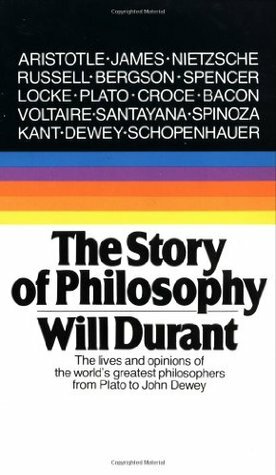 To end with, The Story of Philosophy accomplishes more in the realm of being a preparatory venture—again I mention that Durant himself stated this in the second edition’s preface—than of being a comprehensively academic read. Yes, it is stylized as a book whose chapters will be cited in philosophy courses around the world (usually for non-philosophy degrees), yet Durant’s mission of researching and collecting for many years more than ten centuries’ worth of knowledge, in just a little over 700 pages, is an achievement by itself. And his other goal, of being able to ultimately write a professional book of philosophy for the layman, has been undoubtedly met. It’s no wonder that whenever people search online for the best introductory philosophy books, The Story of Philosophy will often be present on almost every top-ten article, and most of the time, it will be the book ranked first on those lists.